Look at the skin color in our photos. Look at the detail in the wedding dresses. Look at the smiles on the faces of the people in the celebration photos. We have some of the most affordable professional wedding DJ and wedding photographer packages in the country. Top notch performances! 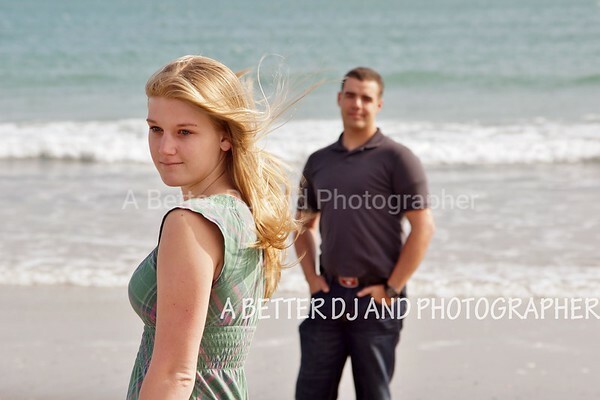 We offer superb DJ-photographer-video services anywhere in the country at budget friendly prices. 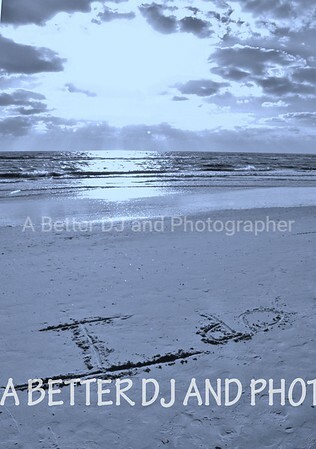 a DJ, photographer, and/or videographer while planning a wedding or event. We invested over 8 years working about 80 hours a week putting together a network of very accomplished DJs, photographers, and videographers around the country that are willing to discount their great performances in our budget friendly packages. Did you know... in a recent survey it was revealed that 83% of single operator DJs and photographers are part time, or hobbyists? helping you make your event perfect? Professional photography or DJ services start at just $299. All of our staff are very experienced and have the right gear for the job. them if you contacted them directly. We also offer wholesale prices on prints for all of our clients. M-TH 11 AM to midnight, Friday 11 AM to 5 PM. We are closed on weekends to better serve our clients. you will not get better services than you will through us! Save even more money with our monthly featured wedding packages. Retainers must be received by the end of the month to get this discount! April NATIONWIDE wedding specials. Prices good all month long. -4 hours spectacular photography only $699 and add one extra hour for only one dollar. -4 hours expert wedding DJ-MC service only $600 including dance lighting and "day of" coordination at your reception. 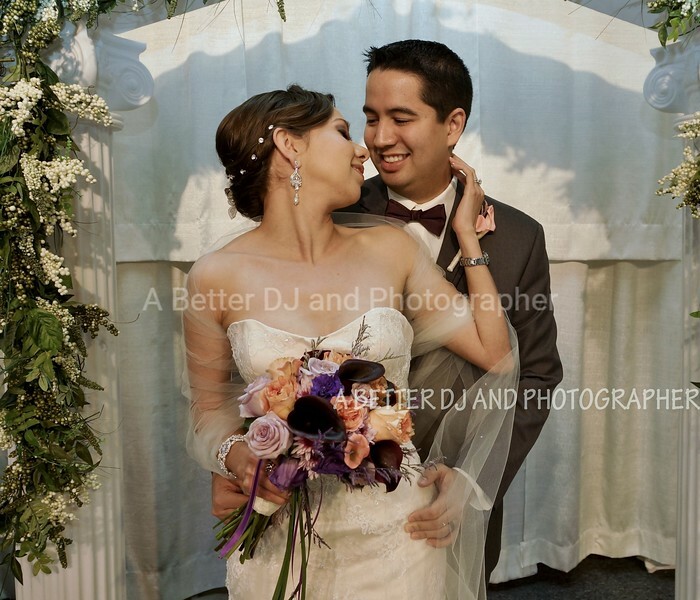 -Get 4 hours wedding DJ and 5 hours of photography only $1199. You save $300 off our regular low prices! Deluxe wedding package- 5 hours of wedding photography and video plus 4 hours of expert wedding DJ only $1799. *Retainers must be received by midnight 4-30-19 to get these discounts. Central Florida residents call for special discounts. These prices are valid nationwide. We also offer wholesale professional photo printing to EVERYONE! 8x10s only $10, 5x7s only $5. We have done over 15,000 successful weddings and events! 2018 all year special party or event DJ and photographer- 4 hours only $750! Michael and Michelle, We received the DVD video of our wedding . Polly and I can't thank you enough. Everything was above and beyond our expectations. The pictures and video are amazing . Thank you so much for making our wedding a truly special time with our family and friends. You and Michelle are so wonderful, and professional, we will certainly recommend you in the future. "Thank you so much Michael! You are just so super awesome and so was Michelle please thank her for us! Everything was just so amazing! It was probably in the top three best days of both of our lives!" · Michael and Michelle worked our wedding in June in Pineville, NC. They photographed and Michael was our DJ. They were absolutely amazing. I spoke with Michael several times before the big day, and he was totally accommodating and made everything so much less stressful! Our special day wouldn't have been nearly as perfect if these two were not involved. If you're planning any special event, these guys need to be your first and only call!! Oh, and by the way, you can't beat their prices!!! Michelle and I did an 1100 mile road trip for this wedding and we all had a blast! 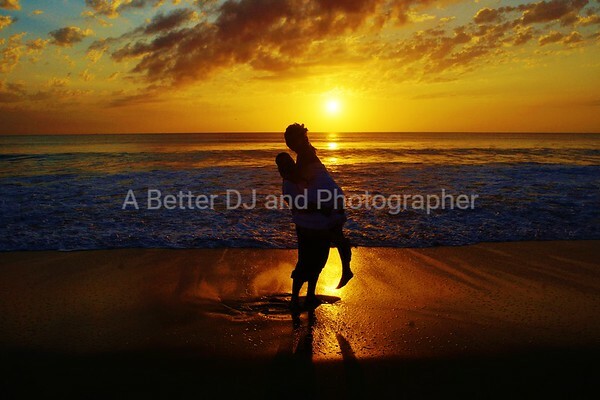 Dear A Better DJ And Photographer, randy m has submitted the following client review for Gig ID #2299987: Client Review Outstanding gentleman who was a master of his art in every respect. He managed to play everyone's personal musical request...which is no small task... while mixing in a dynamic blend of songs that kept the party rocking. His lovely wife was the inspiration of our prayers after the event concluded. Thank you both for your professionalism,talents and energy. 2 Corinthians 1:3-4: Blessed be the God and Father of our Lord Jesus Christ, the Father of mercies and God of all comfort, who comforts us in all our affliction, so that we may be able to comfort those who are in any affliction, with the comfort with which we ourselves are comforted by God. did a great job bringing everyone to their feet. Rina must have captured great photos. Once again, thank you both for the great evening. that I had not met with my DJ or photographer. came and everything went perfectly. and ones that I could never have afforded without A Better DJ. and took some beautiful pictures. all the pictures that were taken because there were so many. Though I was nervous, everything worked out wonderfully! quality professionals and an awesome price!" it was the best wedding they had ever been to. helped make our day magical! for your wedding or event there are so many choices that it makes it a difficult decision for someone with very little or no experience hiring a DJ or photographer. Your DJ is 85% responsible for the success of your event. He/she is not just someone that plays music. They are your master of ceremonies and for weddings they are also your “day of “ coordinator for your reception. Your DJ will be entertaining your guests for the duration of your event. If they are not very experienced it could go really bad, and if so, your event be really bad too. Your photographer is responsible to capture every important moment so it is very important that they have The experience, the skills, and the professional equipment to do it properly. We've done many weddings where the client had already hired a photographer before they found us and they did not get near the professional photos they should have gotten. So many shots were missed and sometimes they were very important moments or family photos. If your photographer is an amateur you can expect some bad lighting, bad color, blurry photos, and a lot of missed shots. You may save a little bit of money but if either of these people turn out to be a disaster is it worth it? Your event is probably too important to you to be part of someone's learning curve. So basically you have 3 choices, you can take your chances and go really cheap, you can over pay and go really expensive, or you can go for a lot of experience at a great price with us. With us you will get outstanding professional performances for just a little more than an amateur will charge. Give us a call so we can answer all your questions and help you reserve your date. The call is free and you will immediately see how wonderful your event will be when you choose A Better DJ and Photographer. We have done our homework! no matter how much more you pay! on your wedding without sacrificing quality! We do professional party and event DJ and photography services too! 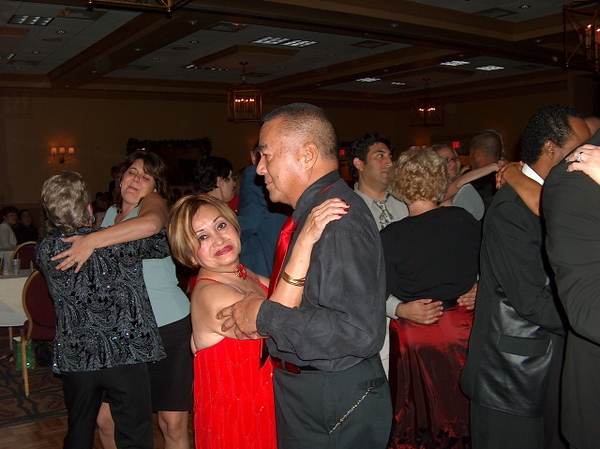 We have performed at over 15,000 successful parties and events since 1999. We also specialize in birthday parties, Sweet 16-teen parties, military and corporate events, and family reunions! Call right now to book your date. Expert DJ-MC service starting at only $299. Spectacular photography starting at just $199. All of our clients get wholesale prices on professional printing! Our custom wedding packages give you exactly what you want at a great price. Call now! Just some of the many awards we have earned since 2011 for outstanding DJ and photography services. We are affordable and will customize your package to make your celebration perfect! 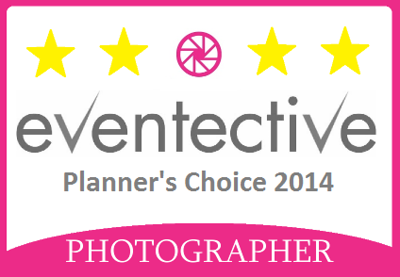 We have been voted best DJ, photographer and videographer in many parts of the country. Our budget friendly packages make it affordable to have spectacular services without paying signature name prices or sacrificing quality! We know for a fact that you cannot get near the quality of professional service that we offer for anywhere close to the prices we charge anyplace in the country. You can find cheaper prices, but you definitely will get a lot less quality and maybe even ruin your celebration by making the wrong choice! You can also spend a lot more money and still not get the quality that we offer. No matter how much or how little you spend you will not get the expertise of over 15,000 weddings and events unless you hire A Better DJ and Photographer! You really owe it to yourself and your guests to make that call for a free consultation so you can at least find out what your event would be like if you choose to have it done by true professionals. We are based in Florida but have professional staff nationwide with outstanding service and spectacular performances. Some dates for 2019 and 2020 are still available. Call now to reserve your date before someone else does! Wedding photos are beautiful, but if your budget allows it you should add video of at least your ceremony. Photos never could have captured these priceless moments. plus, save you a lot of money at the same time? *Click here* to learn more about us! Can you feel the love in this picture? 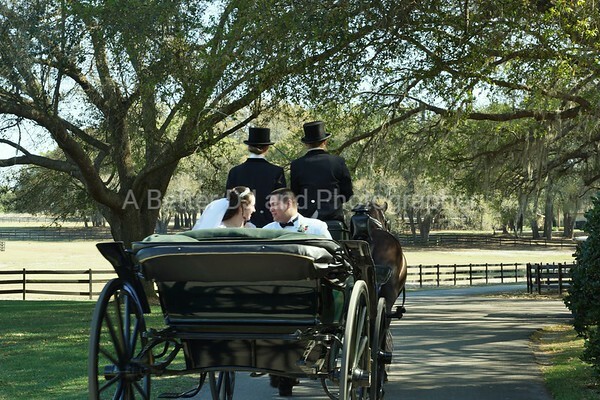 We will capture images like this for you that you will treasure forever! and your photographers will capture the moments for you! we will help you put the perfect wedding package together within your budget. in web friendly sizes for only $1.50! images with printing rights for only $20! of your reception or celebration. make it fun for ALL ages! was the best celebration they have ever attended. We do many military weddings. We offer a 15% military discount on any packages that are not on special. We are proud to create custom packages for our military! with no interest with your good credit. Just ask and we'll send you an invoice! custom text before we add it to your gallery! Collages are the perfect gift for your parents! your date before someone else books it! and maybe even ruin your celebration by making the wrong choice! if you choose to have it done by professionals. We are available anywhere in the country, including out in the country! All of our clients enjoy wholesale rates for professional picture printing! for non professional prints from your local drug store or savings mart. A lot of churches do not allow flash photography. It is important that your photographer has fast, low light lenses so your pictures aren't blurry with orange skin! We have great packages for royalty too! Knowing where to be at the right time to catch the shot is crucial in wedding photography, like in this special moment captured of a groom with his new daughter as the sun is setting on them! Sometimes the special moments we capture are priceless! Some of your pictures will just beg to become black and white photos! help you coordinate the timing so they are stress free and fun! 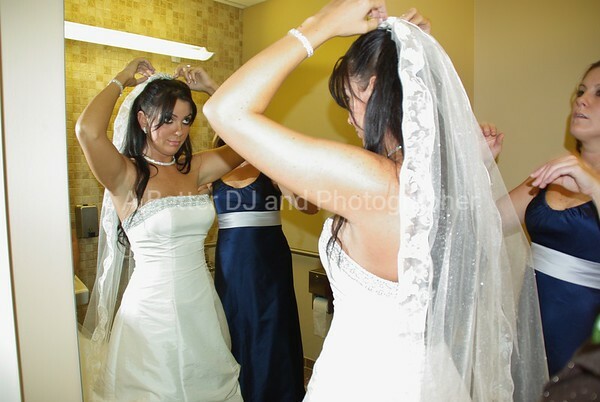 Getting ready pictures are a treasure that you should consider adding to your package! 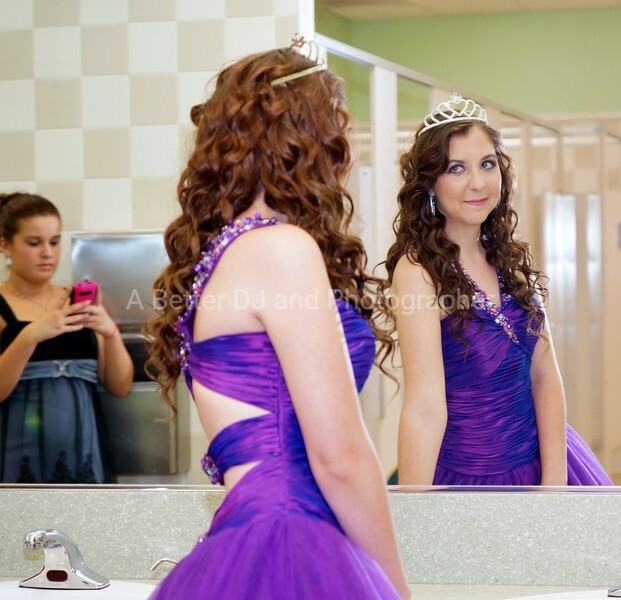 We capture getting ready pictures for your Sweet 16 or Quinceanera princesses too! Want your friends to say you threw the best party EVER? Give us a call! Free engagement pictures at Cocoa Beach Pier or Riverside Park in Cocoa Village are included with every photo package! We love to capture the natural beauty at the beach! Who needs a studio? When you choose us you can just relax after your ceremony while we take over and make everything flow perfectly so you can celebrate with your friends and family without worrying about running your reception! Be sure and ask your officiant how close we will be able to get for ceremony photos. It's not easy to get all of a group this big into one picture and be able to see every person's face. Don't trust your wedding photos to an amateur that doesn't have the right equipment and experience to do it right - hire a professional! We do destination weddings too! Our extensive experience assures you that everthing will go just the way you wanted it to! Free planning assistance is included in every package. Our easy to use E-planner will take all the stress out of planning your destination wedding! 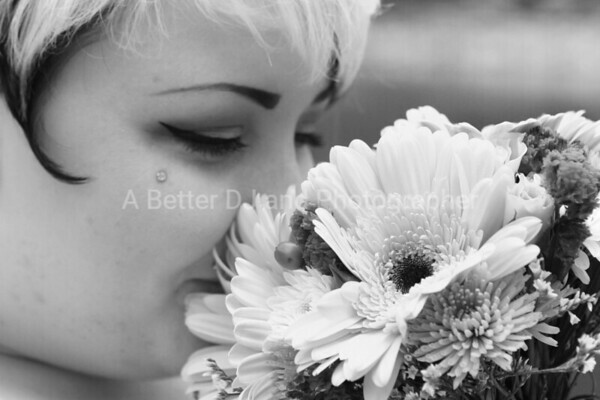 If you are going to elope we have budget friendly wedding photography packages just for you! 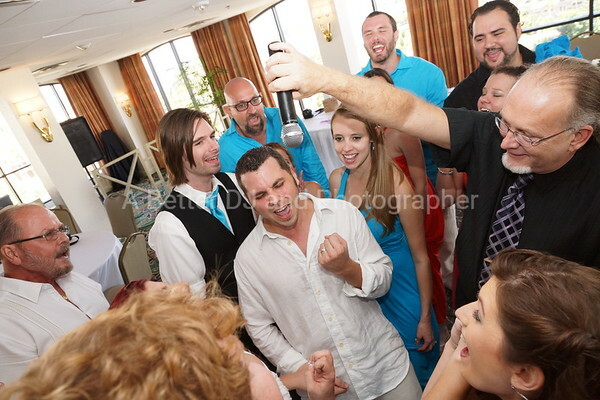 Wireless mics are a staple in our basic DJ package and help create moments like this for us to capture! 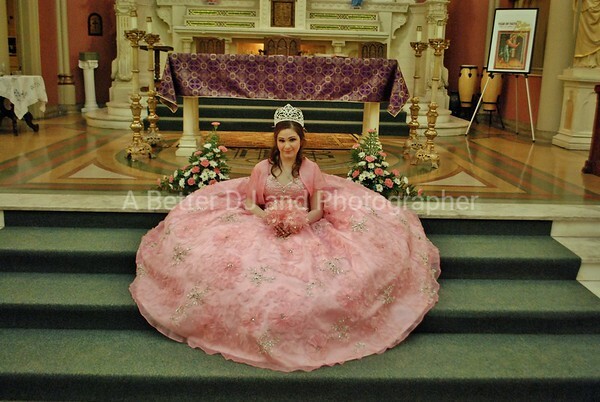 Quinceaneras are almost like weddings in that there are lots of formal events to capture. Our staff is ready to capture those special moments for you! At your Mitzvah, Sweet 16, Quince, or teen birthday party, we will capture those pictures with you and your friends that you will treasure forever! Karaoke can be a fun add-on for a celebration. We don't charge extra for it as long as you tell us in advance that you want it! 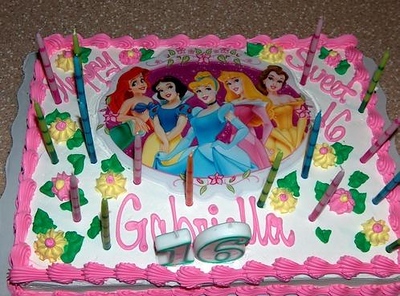 We do birthday parties for all ages! We've done them from 1 year old to 95! So now that you know that we provide superb services for DJ and photography for your celebration, the only thing left to do is give us a call and see how easy it is to book top notch talent at a fraction of their normal prices! the Knot "Best of the Knot,"
we provide for anywhere near the prices we charge. We have done over 14,000 successful weddings and events since 1999! 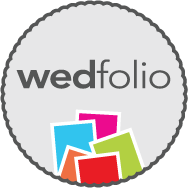 on wedfolio — the place to plan your wedding. 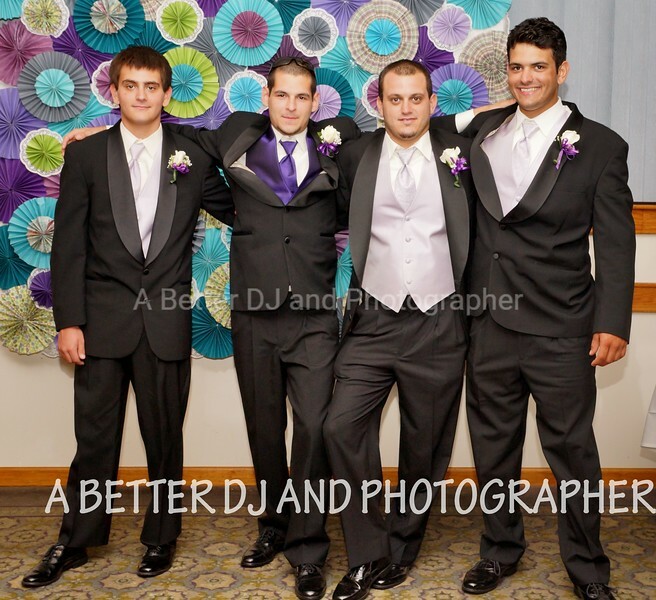 Choosing your DJ for your reception is a very important part of the planning for your special day. Most brides and their moms have little to no experience at this and making the wrong choice could ruin your reception. If you choose us, you can take advantage of our extensive experience and we'll take all the stress out of planning your special day and replace it with fun! Your DJ is 85% of the success of your reception. Your DJ is not just someone who shows up and plays music - he/she is your DJ, your MC, and your "day of" coordinator once the reception starts. Your disc jockey will be the one who keeps your reception flowing smoothly. If you hire a poor or inexperienced DJ, you will wind up running your own reception and managing your DJ instead of relaxing and celebrating with your friends and family! We hire hundreds of great DJs every year. We spent over 8 years putting together a fabulous network of well over 3,000 very experienced professional DJs and photographers who are available nationwide at a reduced price. With their help we have done over 15,000 successful events and we know exactly what questions to ask to determine if they are the right match for your celebration. Unfortunately the questions that we ask are not the same ones they told you to ask on all those bridal sites and in magazines. The DJ who we assign to you will be a very experienced professional. We have a prerequisite that our DJs have at least 10 years experience or have done at least 100 weddings. They must have professional equipment, back-up equipment, dance lights and a wireless mic for toasts. The most important things we look for are DJs with winning personalities who are interactive with the guests. Your DJ will bring all of the music that you ask for in advance plus another 50-100,000 songs for requests. He/she will be an expert at sizing up your guests and playing the music that will keep your celebration exciting. It is our goal for every single person that attends your wedding to think that your reception was the best that they have attended! Most of our DJs typically charge $1000-2,000 for a wedding. We personally handle all the planning assistance and prep work for them so that you are able to get a fabulous DJ for much less than it would cost you to hire them direct! You will get an outstanding DJ with us for only $699. You will save even more with one of our package deals such as both expert DJ and professional photographer for only $1299! Be sure to call for specials - sometimes we run this package for only $1099! You will be able to find cheaper DJs, but you will not find a professional near as good as what we provide for anywhere near the price we charge. Don't ruin your reception because you tried to save a few bucks! Your reception is the celebration of your marriage, the most special day of your life - give us a call and we'll help you make it spectacular! 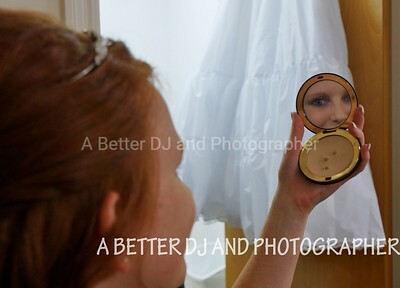 Your wedding photographer is another extremely important part of the success of your special day! A month after your celebration nobody is going to remember your dress, your decor, the food or the venue. Basically all they remember is the great time they had at your reception. That's where your professional pictures come in! We choose our staff based on several important things: professional equipment, low light lenses, back up cameras, creativity, their references, their portfolio, and of course their winning personality. When you go on most photographer's websites what you see are their best, over-edited photos that they use to sell wedding shoots with. On some sites you'll see that some of their featured photos have orange tinted skin and the wedding dresses look like a 500 watt floodlight is shining on it. You have to ask yourself, if these are their best photos, what do the rest look like? People are not orange unless there is an orange light shining on them. Wedding dresses do not glow and have no detail. Here on our site you not only have a large display of lightly edited photos, you also have access to ALL of our recent complete wedding photo shoots. Your pictures will look just like the images that you see here! Everybody has one of these! If you use a photographer that is not a professional you will not get professional photos. If you need a doctor and a friend of the family is a dentist... isn't he a doctor too? Your friend of the family is, and will be, a guest. 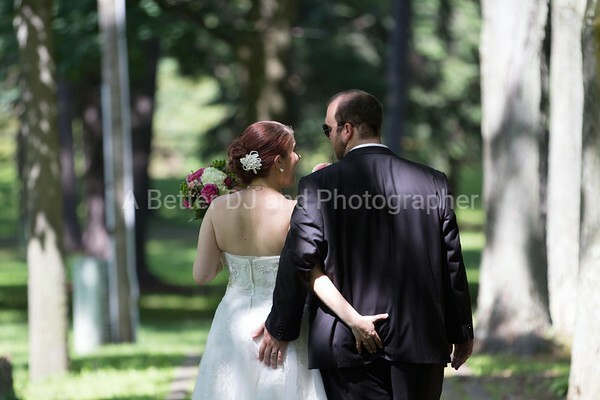 I did a wedding recently where I was the DJ and they used "a friend of the family" as their photographer. His crew consisted of his wife and 4 small children that kept him preoccupied for most of the reception. His camera sat in the bag and did not capture several of the important moments for this couple. Then there's those disposable cameras. You can find lots of bridal sites that say to save money just put one on every table and have the guests take the reception pictures. Most people have no idea how to use those. The flash is good for 8 to maybe as much as 10 feet. Beyond that those cameras are useless and you still have to pay to get the film developed and get a whole bunch of lousy pictures back! And lastly, those horrible low resolution camera phone pictures Unless you want images of your guests holding their cell phone up in most of your pictures we suggest having your DJ announce to please leave the photography to the professionals. Most cell phone pictures really are not that good, especially in the dim light under which receptions are usually hosted. The camera phones that have a flash can also totally destroy the lighting that your professional's camera is expecting to have for the shot. You would not believe how many great wedding reception shots have been ruined with people taking cell phone pictures everywhere in the background! 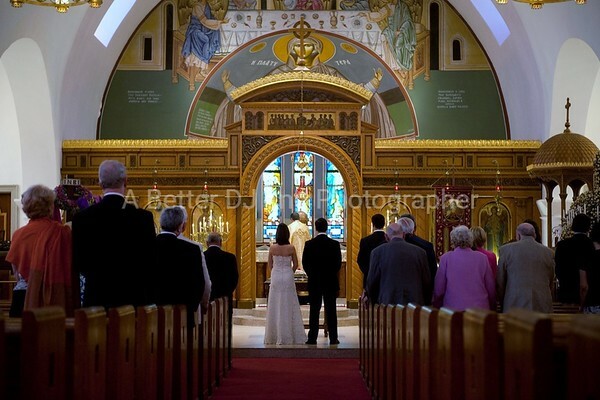 The professional photographers we use normally charge from $1000-3500 to shoot a wedding. Because all we ask them to do is capture the images and upload them to our site for editing, you are able to get top notch talent with awesome results at a fraction of their normal price! 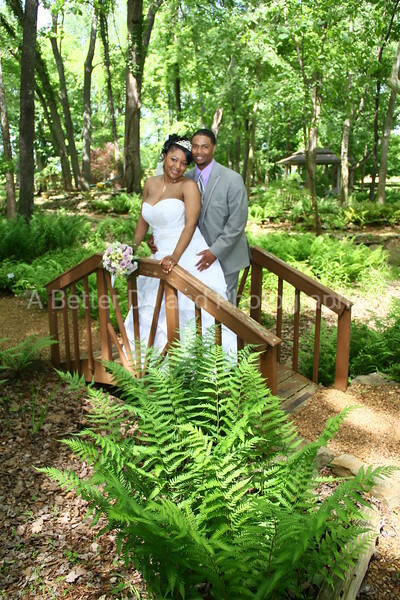 Our affordable wedding photography package is only $799 and covers both your wedding and reception. You will save even more by getting one of our package deals! We also have shirts, mugs and all kinds of other goodies that you can get custom printed at great prices! If you selected our cheap "bare bones" wedding/party DJ he/she will bring a professional DJ sound system, all of the music that you requested in advance and a microphone for the guests that will be acting as your MC and "day of" coordinator. If you selected our professional wedding DJ package he/she will bring a professional DJ sound system, all of the music that you requested in advance, active dance floor lighting and a wireless microphone for toasts. Your expert DJ will also be your MC and "day of" coordinator to run your reception from the moment you arrive from your after ceremony pictures until the end of your last dance! This DJ will be a very experienced wedding professional who will thoroughly entertain your guests to the level where they say your reception was the best they ever attended! Let us know on your planner if there are any special shots that you would like to add. Reminder: Be sure and assign someone to open the door for the bride. Please ask the people below to stay for pictures as other guests go to the reception area. Any other special shots you would like... please add to planner above. We take many candid photos/videos as well. REMINDER: Be sure and assign someone to open the door for the bridal party. 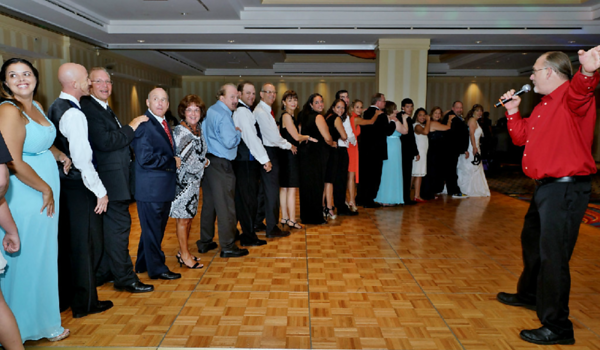 As each bridal party is introduced we suggest they go right to the center of the dance floor and pose for a picture then stand to the side of the dance floor so all of the bridal party surrounds the dance floor. All guests will be asked by the DJ to rise for the grand introduction for the new husband and wife. Go to the center of the dance floor for your first dance and photos. You can download all of your edited images in web friendly format (perfect for Facebook, email, websites, but not good for printing) for only $1. If you decide to go with non professional printing you can download your entire gallery in high resolution original sizes for only $20. You can also have your pictures professionally printed at wholesale prices right here on our site. So how do we offer such cheap rates when others cost so much? We personally handle all marketing, sales, planing assistance and staff coordination for your special day. We also personally edit every picture to ensure uniform results. We handle all of the pre-event planning and assistance until the week of your wedding so all your staff needs to do is make a quick introduction call, and deliver an outstanding performance. This saves them a lot of time and saves you a lot of money. 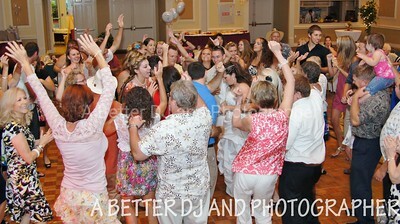 The national average cost for our professional DJ, photographer, and videographer package is about 3 times our prices. We specialize in affordable budget wedding packages, so why pay more if you don't have to? If you choose to take advantage of our extensive experience we'll take the stress of planning right out of the picture! If you have taken the time to read all of this then you know that we are the obvious choice to provide your wedding staff. Give us a call and we'll help you put together the perfect package to make your special day spectacular with budget friendly prices! Low prices, awards, experience, expertise, excellent staff, free expert personal planning assistance, and "day of" coordination! Start with the obvious savings of getting all 4 services with only one overhead. Then factor in the thousands of happy clients we have, the numerous awards our teams have won, the thousands of hours we've spent recruiting some of the best wedding DJs and awesome wedding photographers in the country, plus the fact that we offer some of the lowest prices in the country for professional yet affordable packages. On top of that, once we receive your deposit we will email you our exclusive event e-planner, which will make planning your special day a breeze. 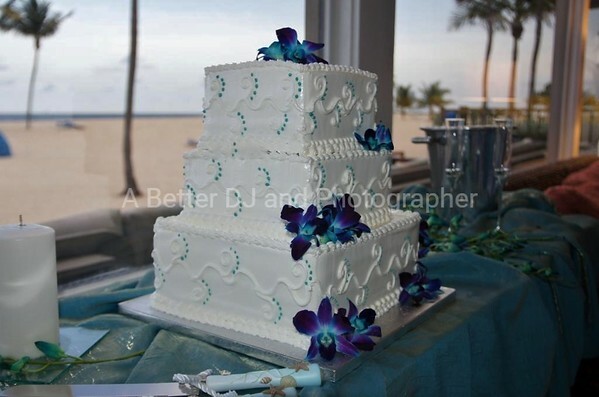 Make your special day everything you dreamed it would be... and more! We started our concept of "budget" wedding and party packages long before the current recession hit. We discovered that there was a huge demand for professional services from people who simply could not afford a high end $2500 DJ wearing a tux that is more expensive than the groom's, or a "signature" photographer that considers his or her work "art" and charges for every click of the shutter accordingly. If you are planning on spending $5-10,000 on your DJ and photographer you are on the wrong site, but call us and we'll refer you to someone appropriate. We are based in Cocoa, Florida and currently operate a network of well over 3,000 DJs and photographers located in all 50 states. We provide top talent in discount packages at budget friendly prices. 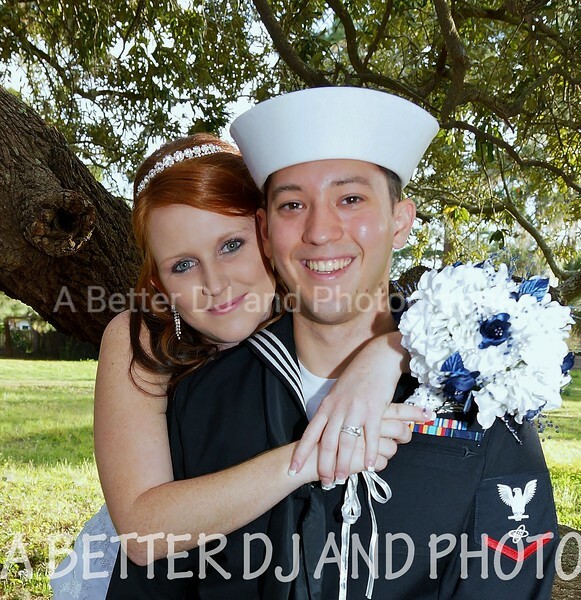 Whether you are planning one of our famous Florida destination weddings, a simple beach ceremony, a huge celebration at the Ritz, or a back yard barbecue, we are your best choice for expert DJS and awesome pictures at budget friendly prices. We are dedicated to making it possible for everyone to have an expert DJ/MC and professional photographer for little more than a wedding DJ would normally charge! You do not have to be on a tight budget to enjoy these savings. In the 1st 7 years of our history we grew from being a single operator Karaoke host in a local club to being the largest DJ and photography company in Florida. Now we are one of the largest nationwide providers of wedding and party DJ and photography packages in the country. 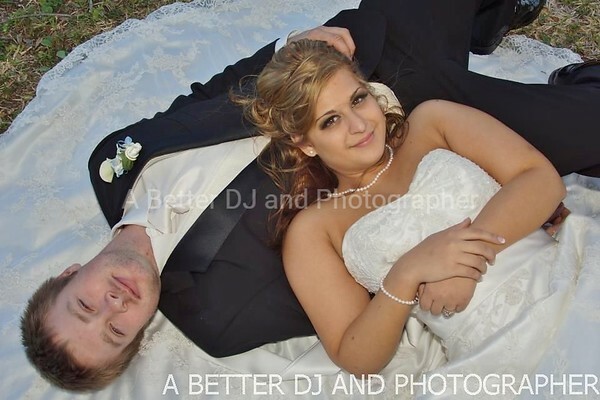 We are the ONLY nationwide DJ and photography company with a 99.999% customer satisfaction rate! How much experience do you personally have hiring a DJ and PHOTOGRAPHER? We understand that most people just don't have the time or experience to effectively shop for a Disc Jockey or professional photographer for their wedding or party. That's one of the main reasons why our clients hire us to do it for them! If you are looking for a great DJ or an affordable photographer, we book hundreds of them for our clients every year. We've spent thousands of hours recruiting, interviewing, verifying references, reviewing portfolios, judging personalities of our DJs and photographers to perform at top notch levels with the latest techniques. We keep our network Disc Jockeys updated with the most current music lists and our photographers updated with the newest camera technology to give you excellent wedding photos. Trust our extensive experience and expertise to do a better job than you could do yourself. Our hiring, evaluation and training expertise makes it easy for us to place the perfect DJ and photographer at your wedding and reception, or the perfect party DJ for other celebrations. If you were to contact one of our DJs directly you could expect to pay $1000-2500! If you were to contact our photographers directly you could expect to pay $1500-$3500! If you want to meet with your DJ or wedding photographer, sit down and plan out the details of your wedding and reception with them and pay those kind of prices, you can do that! But by booking through us and using our exclusive and easy e-planner you can get both professionals for little more than just a DJ will charge. Here's a great example. 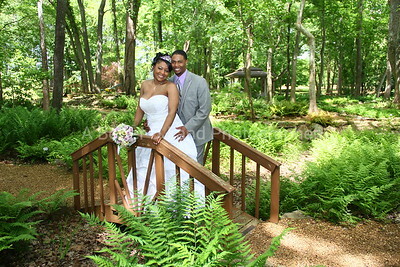 Our clients in Peoria, IL booked one of our $999 DJ and photographer package specials for their wedding. You are probably familiar with some of our award winning photographers and internationally and nationally famous DJS! Everything below this point is irrelevant to choosing your DJ, photographer or video. Read through it if you wish but if you need more information to make your decision then it is smarter to give us a call 321-412-3878! We started right here in FLORIDA and we have been rated as the the most popular DJ or party DISC JOCKEY company in the state. In addition to providing AWARD WINNING BEST DJS, we have AFFORDABLE WEDDING PHOTOGRAPHY and videographers for all of these locations! We will also supply a top rated PARTY DJ and SWEET 16 DJ or a PARTY DISC JOCKEY for your other events. Most of our DJs would charge you between $1000 and $3500 if you were to hire them direct. With our budget friendly packages you can get the same experience, professionalism, and performance at a fraction of the price. Most of our photographers start at $1000 to $3500 and up if you were to contact them directly. Because we handle all of the client management and editing ourselves you can get these same professionals as low as $299, and save even more in our package deals! 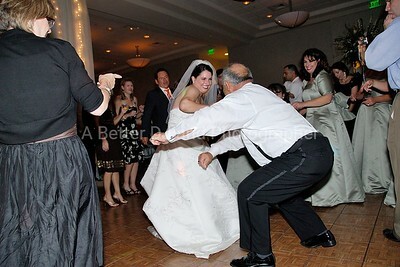 So whether you need a TOP WEDDING-party DJ IN: ORLANDO-TAMPA-JACKSONVILL -BEACH-MIAMI-DAYTONA BEACH-COCOA BEACH-WEST PALM-PORT ST LUCIE-JUPITER-NAPLES-FT MYERS-PENSACOLA-DESTINATION WEDDING DJ,-KISSIMMEE-CLEARWATER-ST PETE-FT LAUDERDALE-Vero Beach-Melbourne-Cocoa-Titusville-Palm Bay-Satellite -Beach-Merritt Island-Melbourne Beach-Sebastian-Fort Pierce-Panama City-Lake City-Tallahassee-Port Orange-Palm Shores-St Augustine-Gainesville-Ocala-Stuart-Sanibel Island-Singer Island-Lakeland or a DJ, PHOTOGRAPHER, or VIDEO in any of the surrounding areas, A BETTER DJ AND PHOTOGRAPHER is your obvious choice! We provide the very experienced DJS and PHOTOGRAPHERS at affordable package prices that will fit your BUDGET! Also great PRICES on award winning expert WEDDING DJ, WEDDING DISC JOCKEY, and AFFORDABLE WEDDING PHOTOGRAPHER currently in Florida, Georgia, Alabama, Mississippi, South Carolina, North Carolina, Washington D.C., Virginia, West Virginia, Tennessee, Kentucky, Ohio, Maryland, Delaware, New Jersey, New York, Pennsylvania, Massachusetts, Rhode Island, Vermont, Connecticut, Delaware, New Hampshire, Minnesota, Illinois, Indiana, Iowa, Missouri, Arkansas, Texas, Alaska, California, Arizona, Nevada, Oklahoma, Louisiana, Kansas, WASHINGTON, OREGON, IDAHO, NEW MEXICO, MICHIGAN, NORTH DAKOTA, SOUTH DAKOTA, MONTANA, NEBRASKA, LOUISIANA, MAINE, COLORADO, Hawaii, and Utah. We provide DJ, photographer, and video service for your wedding or party in the following greater metro areas: ATLANTA, SAVANNAH, MACON, CHARLESTON, COLUMBIA, AUGUSTA, VALDOSTA, GREENVILLE, HILTON HEAD,MYRTLE BEACH, WILMINGTON, RALEIGH, GREENSBORO, VIRGINIA BEACH, RICHMOND, ROANOKE, SPARTANBURG, NORFOLK, HARRISBURG, PARKERSBURG, DOVER, WASHINGTON DC, BALTIMORE, CHARLOTTE, FAYETTEVILLE, PHILLADELPHIA, NEWARK, ATLANTIC CITY, LANCASTER, PITTSBURGH, ALTOONA, SCRANTON, YOUNGSTOWN, CLEVELAND, ALLENTOWN, HARRISBURG, DANBURY, BRIDGEPORT, PROVIDENCE, NEW BEDFORD, SPRINGFIELD, BOSTON, BUFFALO, ROCHESTER, SYRACUSE, ALBANY, BINGHAMPTON, UTICA, BRIDGEPORT, MANCHESTER, BANGOR, PORTLAND, TOLEDO, DAYTON, CINCINNATI, AKRON, MANSFIELD, HUNTINGTON, LEXINGTON, LOUISVILLE, KNOXVILLE, NASHVILLE, MEMPHIS, MONTGOMERY, BIRMINGHAM, MOBILE, GULF BREEZE, CHATANOOGA, INDIANAPOLIS, GARY, MUNCIE, FORT WAYNE, LAFAYETTE, SOUTH BEND, KALAMAZOO, DETROIT, FLINT, SAGINAW, GRAND RAPIDS, BLOOMINGTON, BOWLING GREEN, GULFPORT, HATTIESBURG, JACKSON, TUPELO, CAPE GIRARDEAU, ST LOUIS, JOPLIN, KANSAS CITY, QUINCY, PEORIA, CHAMPAIGN, CHICAGO, PONTIAC, ELGIN, DAVENPORT, ROCKFORD, WAUKEGAN, KENOSHA, MILLWAUKEE, APPLETON, GREEN BAY, MADISON, DUBUQUE, IOWA CITY, DES MOINES, OMAHA, MINNEAPOLIS, ST PAUL, ST CLOUD, GRAND RAPIDS, WATERLOO, LICOLN, SALINAS, WHICHITA, LITTLE ROCK, HOT SPRINGS, OMAHA, OKLAHOMA CITY, TULSA, NEW ORLEANS, SHREVEPORT, TEXARKANA, MONROE, ALEXANDRIA, HOUSTON, DALLAS, SAN ANTONIO, LUBBOCK, AUSTIN, WACO, FT WORTH, FORT WORTH, AMARILLO, EL PASO, RAPID CITY, GRAND ISLAND, DENVER, BOULDER, COLORADOSPRINGS, GREELEY, CHEYENNE, ALBUQUERQUE, SANTE FE, SALT LAKE CITY, PHOENIX, TUSCON, FLAGSTAFF, BOISE, LAS VEGAS, RENO, SPOKANE, SEATTLE, YAKIMA, TACOMA, PORTLAND, EUGENE, SAN FRANCISCO, SACRAMENTO, LOS ANGELES, LA, SANTA BARBARA, SAN DIEGO, STOCKTON, FRESNO, and any others we forgot! So in other words, we have the BEST WEDDING PACKAGES and PRICES in the country... PERIOD! We want to make it very clear that we are not going to spend a hundred hours photoshopping all your photos, reshaping your face, removing freckles, changing your lipstick color, changing your nose, or basically making your photos look more like a mannequin than looking like you do. If that is what you are looking for we suggest going with one of the higher end photographers at between $3000-$10,000. What we do as far as editing is lighten dark photos, darken light photos and crop when needed. Yes, if you wake up with a pimple on the end of your nose on your wedding day, we will fix that for you. We are not going to remove your freckles, tattoos or birthmarks. Your photos will look exactly like you do on your wedding day! We will make sure that your wedding dress does not appear whited out or washed out as you see on so many websites (unless you request us not to). If you are looking for a very high end ($3,000-$10,000 range) photographer just let us know. We are members of several groups that have the very best photographers who fall into that category. These professionals do not just take excellent images, their work is art! 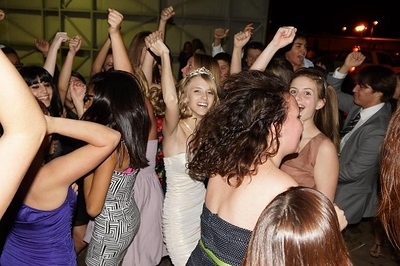 Your awesome party package includes an interactive party DJ who will fill your dance floor and a professional photographer who will capture moments like these... all for only $699! 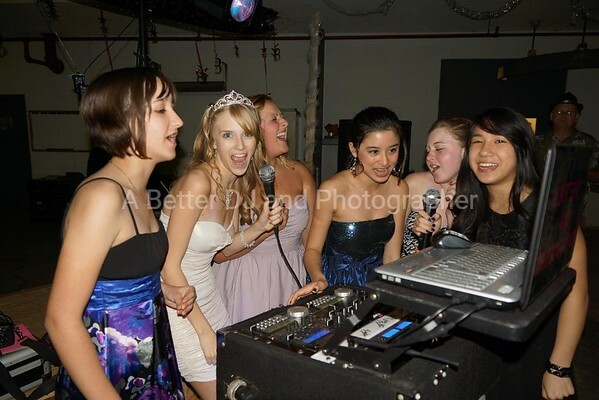 Sweet 16 DJ only $399 Other than saying "I do" your DJ and photographer are the most important part of your celebration. If your budget cannot afford to hire professionals give us a call and we'll help you figure out where to cut back on some of the lesser important parts of your budget at no cost or obligation. A month after your wedding your guests will not remember your flowers, your cake, your centerpieces, your decor or your food... but they will remember if they had a great time at your celebration! When it comes to selecting an affordable wedding photographer keep in mind that we personally edit every photo to ensure consistency in the finished photo. What you see in our photo sample slideshows is exactly what you will receive when you select us to be your affordable wedding photographer. You will not receive photos with a blown out (too white with no detail) dress or orange tinted people. You will have a lot of fun when you hire A BETTER DJ AND PHOTOGRAPHER When you choose us to be your professional wedding DJ, PHOTOGRAPHER, AND VIDEOGRAPHER, our wedding package prices run less than half of the national average prices! We now offer 6 months no interest financing if you prepay your package! How would you like to have your wedding, party or event managed by professionals who have done over 11,000 successful celebrations??? Why not have top shelf talent and get all-in-one shopping at a great price? now it's up to you to take advantage of it! Don't be part of some inexperienced DJ or photographer's learning curve! 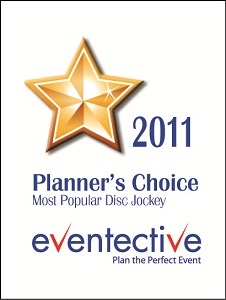 We will take all the stress out of planning your event with expert planning assistance. "Day of" coordination is also included in most DJ packages. We have wedding packages and party packages from as low as $299 to $3999 depending upon your vision of your celebration. Your professional DJ will help create the moments and your photographer will capture them for memories to last a lifetime! We provide: an outstanding professional wedding reception DJ-MC-entertainer, an exciting party DJ, a fun sweet 16 DJ, a professional corporate event DJ, a professional yet affordable wedding photographer, a high-end signature photographer team, professional video, and an excellent selection of package options for any budget. We personally edit every photo shoot to ensure that our clients receive the same excellent quality photos! *Florida residents call 321-412-3878 for some very special discounts! Get your prices right now*! Want to get married in a historic manor?